Here at Maker Ed we’ve been excitedly preparing for World Maker Faire, which takes place on Oct. 1-2 at the New York Hall of Science. We’re organizing some amazing presentations and hope to see many of you there. Marcos Navas will be participating in Maker Ed’s “Meet the Maker Educators: Inspirational Stories from the Cutting Edge” talk on Sunday. If you’ll be at the Maker Faire, stop by the Education Stage to say hello, and whether you can make it or not, follow us on Twitter for live updates during the Education Forum and Education Stage talks. I cannot help but feel a special excitment around Maker Faire. How could I not? It was at the Maker Faire three years ago that my professional career changed forever. Shortly before that Maker Faire, I spoke with my neighbor, a 3D printing guru, and learned about the 3D printing process, and all it can possibly do for society. I was intrigued and, being an educator, immediately started brainstorming ways in which I could bring this technology to schools. Nothing was coming to me though. I just couldn’t see the ways that this exciting technology would fit within the world of schools. As I walked through the Faire grounds later that year, it all became clear to me. My mind was twisting and turning, full of ideas and inspirations. At the Maker Faire, I instantly felt connected to the maker movement, and it was in this movement that I began to see the potential links between exciting technology like 3D printing, the DIY ethos, and student learning and growth. These initial moments of inspiration would, with a bit more development, ultimately be the basis for the Union City Summer STEM Camps program. Union City, New Jersey, is an urban school district with most of its students coming from low socio-economic backgrounds. Our students, because of limited funds, are often natural tinkerers and makers. When money is an issue, you turn to doing things yourself. Whether it’s making a basketball hoop out of a milk crate, or wiring up your own scooter to make transportation less physically stressful, our students are naturals when it comes to making and tinkering! With the Union City STEM Summer Camps, we channeled their natural tinkering abilities into an exciting STEM learning program. The Union City Summer STEM camps are broken into 3 parts: Making/Coding, Sharing and Documenting Learning, and Sustainability and Energy. Each one of these strands comes with an iBook full of videos, lesson plans, resources, and links. Students also receive a digital workbook kept on the iPads throughout their camp experience. In developing this program, I was able to bring the ideas of the maker movement that inspired me at Maker Faire into the classroom. Using a design thinking philosophy, students are free to explore, tinker and create. 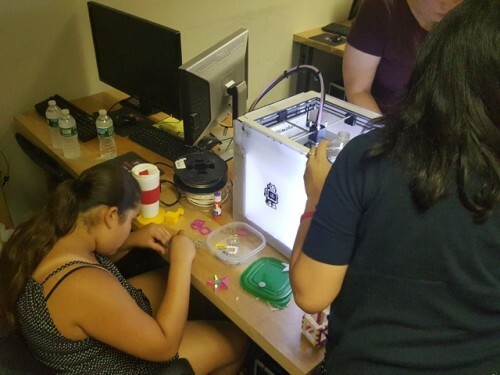 The STEM camps include 3D printing, CAD, coding, app making, energy experiments, robotics, urban farming, movie making, LittleBits making, toy re-making, and much more! 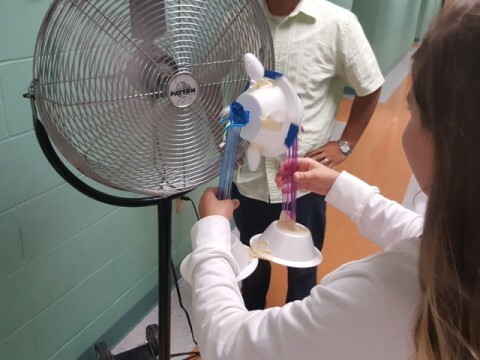 In running these STEM camps, I was able to see amazing growth in both students and teachers. Learners were able to explore and experiment with many ideas and topics that deal with real- world issues. At the same time, educators learned to step back, take on the role of facilitator, and give students opportunities to become the teachers. It was a truly amazing transformation to watch. So, with that in mind, I encourage all educators not to miss out of the opportunity to attend a Maker Faire. 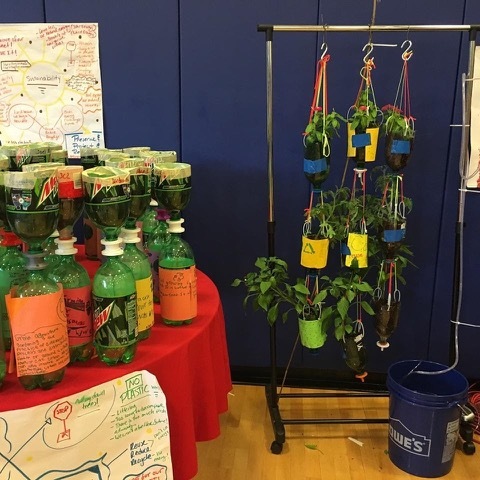 Whether it’s the World Maker Faire in New York, or a local Mini Maker Faire, these events offer a ton of amazing opportunities to connect with other maker educators and learn about the amazing ways that making can positively impact your learning environment.